It's the first major update for Google's new messaging service, and it brings a lot that probably should have been there at launch. 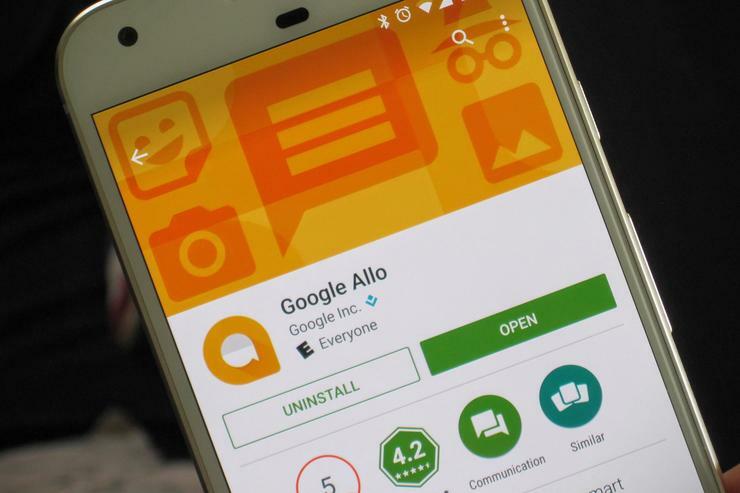 The first major update to Google Allo is here. Version 2.0 brings a whole batch of improvements, many of which might give you reason to take another look at Allo if you’ve yet to give it a try. But before you get too excited: SMS/MMS messaging is not one of them. For those using Android 7.1, there’s now an app shortcut to launch into a new conversation. There aren’t shortcuts yet for specific conversations like you get on Google’s Messenger SMS app, however. Start a new conversation with the new app shortcut in Allo. Several other features that exist in other messaging apps are making their debut in Allo 2.0. Now when you use the Android sharing menu your frequent contacts will appear. And you can now go crazy with GIFs. 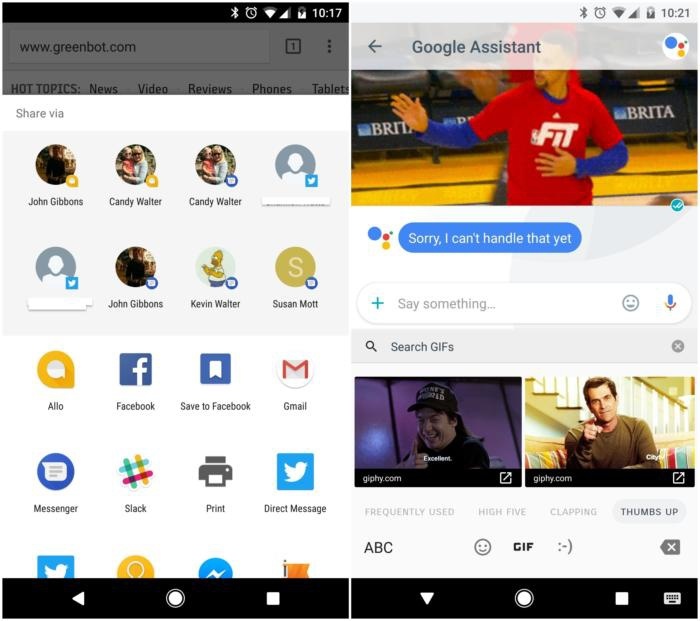 You’ll access them just as with any other app, though don’t worry about sending any to the Google Assistant just yet. This’ll just confuse it. There's also support for the GIF keyboard. GIF keyboards and direct sharing all comes to Allo 2.0. Allo also plays better with Android Wear, allowing you to draw an emoji or respond with your voice. If you want to check out Allo for yourself, look for the update in the Play Store or grab it right now from APK Mirror. 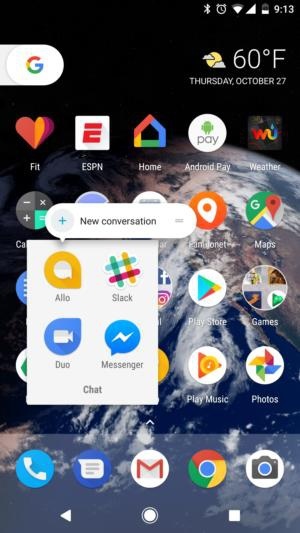 The impact on you: These are nice additions if you’ve been using Allo, bringing in features that are necessary for it to be a viable contender. However, the future of messaging ubiquity here in the U.S. is probably through Rich Communication Services, as the most identifiable way to reach people is still through their phone number.